You Are Here: Home » Travel » Amusement Parks In Orlando, Florida- More Than Just Disney World! Amusement Parks In Orlando, Florida- More Than Just Disney World! Although the city of Orlando, Florida is well known for a number of amusement parks, the vast majority of travellers will head to just one on their holiday. While the Walt Disney Resort in Orlando is a sprawling complex full of rides, attractions and shows, there are a number of other amusement park options to choose from. Read on to explore all the excitement waiting for children and families at the theme parks, water parks and amusement parks in Orlando, Florida. The ideal way to visit each is to enjoy a fly and drive holiday, stopping for a day or two at each location before moving on to the next park. Universal Studios Orlando: This amusement park, while perfectly suited for children and families, has created a reputation as a park that will also keep teenagers and adults entertained. 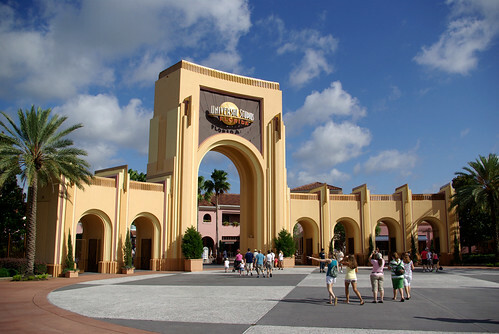 The original Universal Studios boasts great rides and attractions based on popular films and the next door Islands of Adventure, a secondary park, is home to the newer films and even more thrilling rides. It also boasts City Walk, an entertainment complex geared towards adults that has big name concerts, bars, restaurants and even nightclubs within walking distance of many area resorts and hotels. Wet ‘N Wild: This is the original water park in Orlando, and it serves as a less crowded alternative to some of the bigger parks. On a hot day, nothing will beat floating on an inflatable tube along a flowing river or racing down a giant slide into a refreshing pool of water. Although the park itself is most popular during the summer, cooler winter weather simply means the pools are heated but the fun doesn’t stop. SeaWorld Adventure Park Orlando: Animals lovers will want to head to the SeaWorld Adventure Park Orlando, home to shows, rides and exhibits relating to marine life. 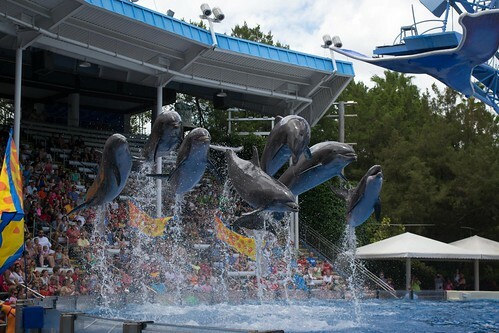 Several water shows feature dolphins and manatees, and there are even beluga whales and sea turtles in habitats onsite. Holy Land: For religious travellers, Holy Land is a unique way to blend spirituality with fun. The park aims to create the Jerusalem of biblical times, and fun shows and attractions bring the written word to life. Gatorland: If you are more interested in reptiles than roller coasters, be sure to visit Gatorland in Orlando. Free from long lines but boasting plenty of creatures, the park allows visitors to hold baby alligators, pet a giant snake and see countless birds and fish in their natural habitats. Aquatica: This park is owned by SeaWorld, but the emphasis is on fun and rides rather than on the marine life. Aquatica is ideal for a hot Florida day, and children will love the fun rides and the many pools and slides that cool and refresh visitors. Find some great deals for amusement parks on holidays to Orlando at Travel City Direct.